"I want you to create a concert in connection with Haruki Murakami." On April 1, 2015, the first day of my transfer to my new section at work, I was unexpectedly entrusted with a mission. This was to be the first step which would lead to this project's realization. "Watch:" Take part as a co-organizer of Kafka on the Shore, an adaptation of Haruki Murakami's novel for the stage, directed by Yukio Ninagawa, which tours Singapore and Seoul, Korea from the end of October to November. "Talk about:" Team up with the Singapore Writers Festival, which is held around the same time, sending out writers and translators with strong connections to Haruki Murakami and hosting a panel discussion. Even with these two programs, "Watch" and "Talk about," this was a large project. However, one more program in the same period would surely be excellent. That's how Listen to Haruki Murakami came about. However, as of April 1, we had virtually nothing in terms of performers, staff, and stage organization. Above all, we had less than six months until the performance, and time was running out. The hurdles were dauntingly high-- not only to create a new concert, but also one that captured the work of a world-famous author. Amid seemingly impossible circumstances, I expanded my vision for the concert by drawing conceptual images, reading Murakami's books, and putting sticky notes on page after page. Then I fixed a basic concept of interweaving the various musical genres that appear in the Murakami's books, including jazz, classical, and pop music as well as actual written excerpts from his books, along with an image that put two grand pianos on the stage with a jazz trio and a classical quartet that alternated and appeared together at various times. I also advanced framework building for the performances, including negotiations with the performers, consultation with the technical staff, and preparations on site. For the jazz section, I asked jazz pianists Chihiro Yamanaka and Hiroko Kokubu, to play respectively in Singapore and Seoul. For the classical music section, I assigned the 1966 Quartet, who specialize in classical music, but also include the Beatles and other non-classical songs in their repertoire. 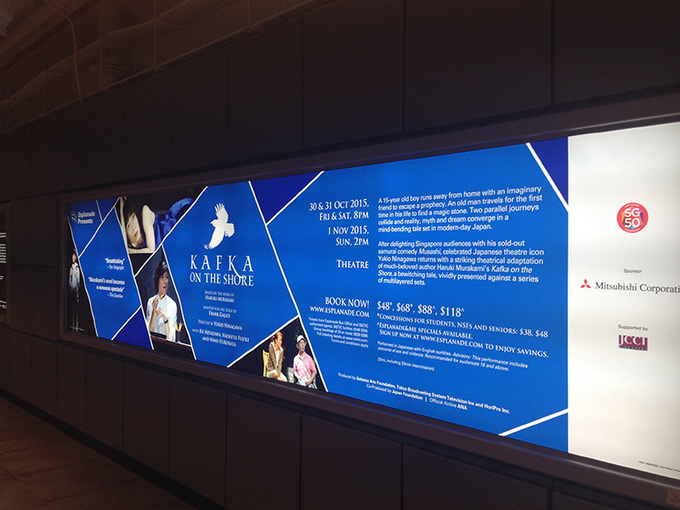 We also selected and collaborated with local pianists and actors in Singapore and Seoul. 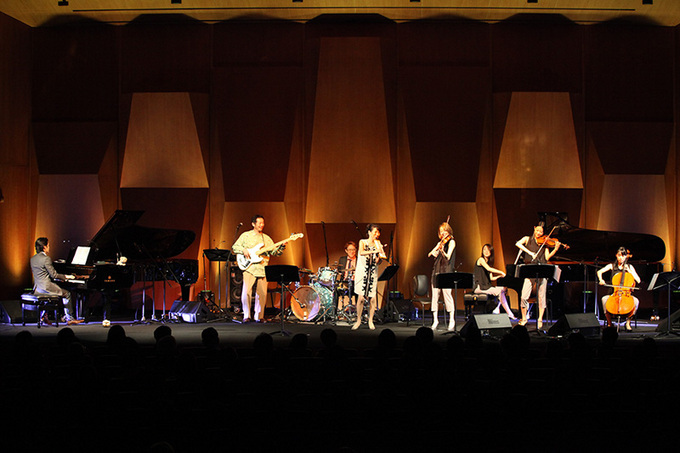 The most important point of the concert was to select songs which harmonize with Murakami's works. Central to this meticulous creative operation was concert supervisor Jun-ichi Konuma, who I had continued to work with on a daily basis after contacting in late April. ...And then, at the performances. Murakami's works served as a bridge and everyone involved transcended the boundaries of musical genres, the hedge separating music and writing, the borders of Japan, Singapore and Seoul, and their respective languages, to create the concerts, which drew applause from the capacity crowd. The play Kafka on the Shore that immediately followed the concert received standing ovations at every curtain call. The last performance in Seoul marked the 100th time the work had been performed. 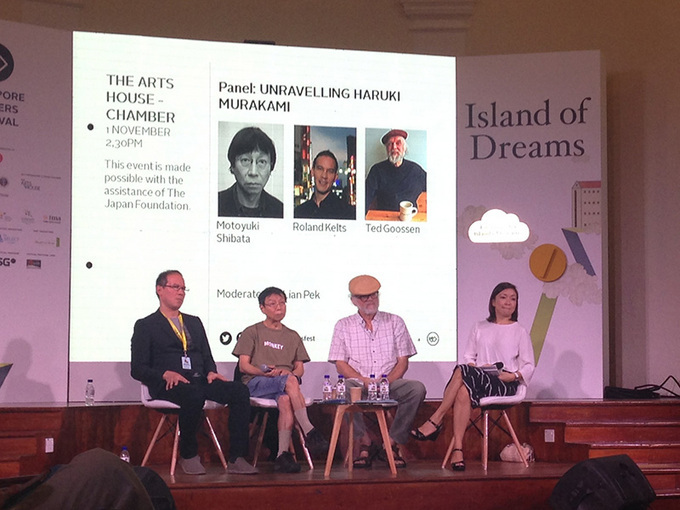 The panel discussion "Unravelling Haruki Murakami" at the Singapore Writers Festival immediately filled up with audience members. Everywhere from the standing room to the aisles was filled to the brim with people. It was a smashing success. The reaction of the audience who listened intently to every single word uttered by Motoyuki Shibata, Ted Goossen, and Roland Kelts symbolized the rapt attention that the world pays to Murakami's works. 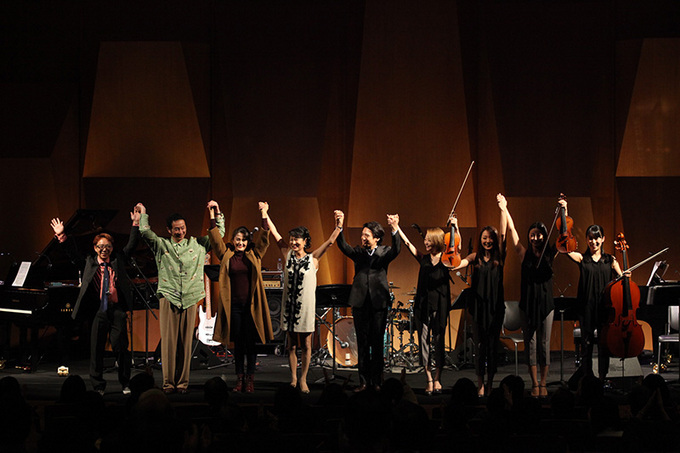 Right: The audience at the panel discussion "Unravelling Haruki Murakami"
Through "Watch," "Listen to," and "Talk about"―a play, a concert, and a panel discussion--this project resulted in opportunities to enjoy the world of Haruki Murakami with all five senses. During the project, many people reached out to us and asked, "Please do this in other countries! What about a triumphant return to Tokyo?" We ended the project while entertaining dreams of future developments.